In cold weather, just as in tropical heat, soldiers outdoors need continuous hydration. In sub-zero weather, the military-standard plastic canteen is virtually worthless. It freezes far too easily and has little ability to keep hot liquids at an elevated temperature. Metal canteens are just as bad, but do have the advantage that they can be heated directly on a stove. For these reasons, the U.S. military developed the one quart Arctic Canteen, with characteristics specifically tuned for cold weather operational requirements. The Arctic Canteen originated in the early 1960s. 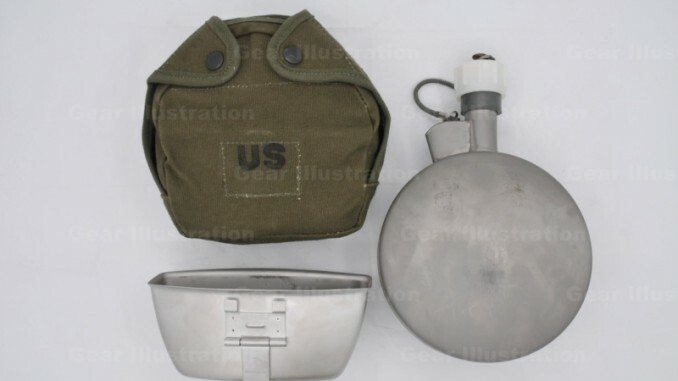 It was made of corrosion resistant steel (CRS, or stainless steel), contained in a cover/carrier.The specifications went through minor revisions until cancelled in the late 1990s or early 2000s and replaced by newly-designed insulated canteen.